Individually marked territorial Oystercatchers in a piping ceremony. The bird on the right also carries a transmitter. Foto Jeroen Onrust. The number of Oystercatchers (Haematopus ostralegus) in the Netherlands is declining rapidly. 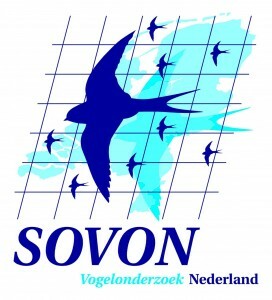 This is cause for alarm, because the Netherlands is home to a large part of the wintering and breeding Oystercatchers in Europe. Furthermore, Oystercatchers are extremely long-lived, so rapid declines only occur when conditions have drastically deteriorated. In the Wadden Sea, the birds are subject to many human activities like shellfish fishery, recreational disturbance, military training exercises and soil subsidence due to gas extraction, as well as more indirect impacts like climate change and the spreading of introduced species like the Pacific oyster Crassostrea gigas. To quantify the cumulative effect of these impacts on the carrying capacity for Oystercatchers, we developed a distribution model called WEBTICS (Wader Energy Balance Tidal Cycle Simulator). The model was calibrated with data from the Wadden Sea and the Oosterschelde. 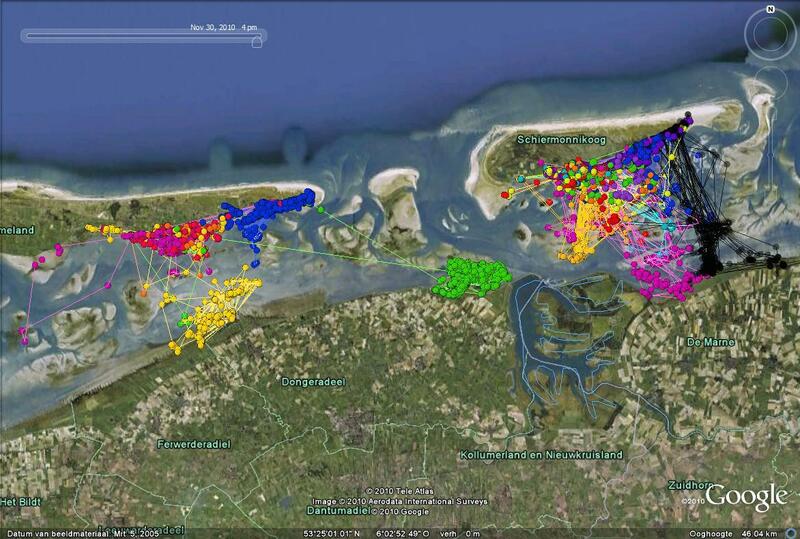 Historical data on weather, tides, shellfish stocks and emersion time from another estuary in Zeeland Delta in the Netherlands, the Westerschelde, sufficed to correctly predict the number of Oystercatchers wintering there. In the current model, the calculated carrying capacity primarily depends on the shellfish stocks high in the intertidal zone, i.e. with a long emersion time. 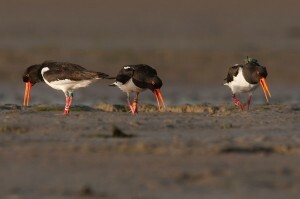 After pilot studies in 2008 and 2009, we equipped 40 Oystercatchers with biologgers in June 2010 and followed them throughout the winter. 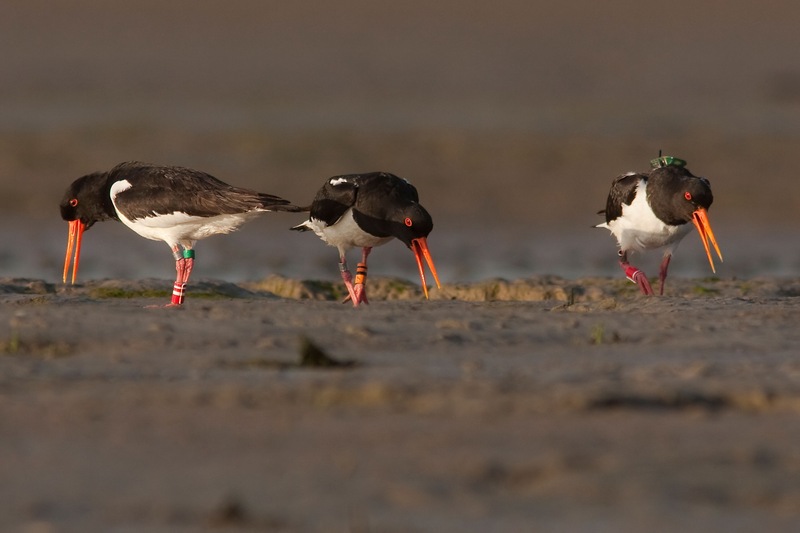 Test the model prediction that Oystercatchers increase time spent on feeding per 24 hours as feeding conditions deteriorate throughout the winter. Test the model prediction that shellfish beds with a long emersion time are more heavily used compared to shellfish beds with a short emersion time. 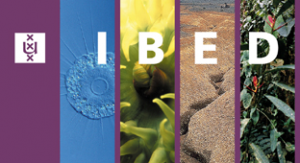 Study individual variation in time spent foraging and usage of different shellfish beds.